with foot operated switch with vacuum gauge and regulator. Low Pressure: 0- 666 mbr. - Main wetted part made of 304 stainless steel, polypropylene, silicone, and nickel-coated brass. We have carved a niche amongst the most trusted names in this business, engaged in offering comprehensive range of Ovum Aspiration Pump. Bath made of polypropylene is strong, and lasts long. By preventing reflux, vacuum filtration and vacuum distillation are possible. 2 pieces of metal aspirator. A single or double lumen needle (depending on the model) with triple bevel and 300m usable length. The needle is echogenic on the last 2 cm, than again on 5 mm as of the 3rd distal cm. The Pioneer Pro-Pump is the most reliable. 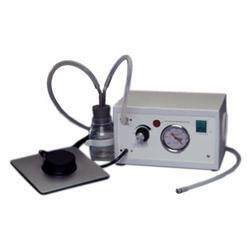 It is the quietest pump in the industry and comes with single or dual foot pedal. It is responsive, light weight, has steel housing, and is available 220V. 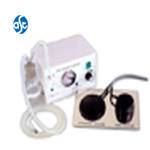 - Pioneer Pro-Pump is the Most Reliable Aspiration Pump Used in IVF.